Crystal Exchange America, a leader in selling retired Swarovski, is making a move into blogging. Kristall Buzz is designed to be the preeminent place for enthusiasts to keep up with the up-to-date postings on Swarovski Crystal. I enjoy my Swarovski crystal collection and my curiosity peaks with little-known tidbits on Swarovski figurines. I believe that sharing crystal tidbits and recent announcements, via Kristall Buzz, will be interesting to other Swarovski aficionados. Angie McIntosh, owner of Crystal Exchange America, is enthusiastic to make her way into the blogging arena. 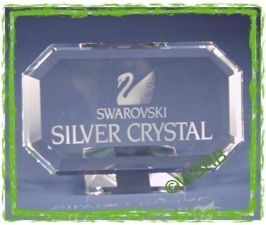 The number of businesses blogging has multiplied in recent years, and it now time for Crystal Exchange America to have closer connection with Swarovski crystal fanatics who may or may not be current clients. Kristall Buzz, located at http://www.KristallBuzz.com , will focus on news about Swarovski figurines. Crystal Exchange America expects that the majority of blogging will be about retired Swarovski or rare Swarovski collectibles. However, the news on Kristall Buzz will not be restricted to discontinued Swarovski. Posts will also be included about Swarovski Club pieces, new releases, leading-edge news, and other interesting chatter found on the internet. Angie McIntosh, Swarovski collector of 25+ years, said, "I enjoy my Swarovski crystal collection and my curiosity peaks with little-known tidbits on Swarovski figurines. I believe that sharing crystal tidbits and recent announcements, via Kristall Buzz, will be interesting to other Swarovski aficionados." For Swarovski crystal owners looking to buy or sell Swarovski, collectors can learn more about Crystal Exchange America at CrystalExchange.com . 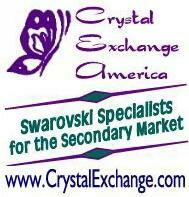 Crystal Exchange America has over 14 years of experience and assists collectors adding crystal to their Swarovski collection as well as helping those who want to liquidate Swarovski crystal collections or sell only a part of them. Crystal Exchange America, a retired Swarovski dealer, specializes in discontinued and retired Swarovski crystal.